Well, what a busy week we've had. There was the Nindies Showcase, which brought with it the Cuphead and Cadence of Hyrule reveals, the Animal Crossing tweet meltdown, and even a new gaming platform from Google, but it's finally time for us to settle down with some games for the weekend. We've shared our plans below, but feel free to join in via the poll and comment sections. Enjoy! 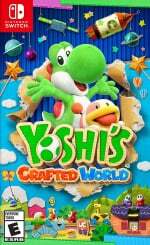 This weekend I’ll be settling down for a nice relaxed time with Yoshi’s Crafted World for review. 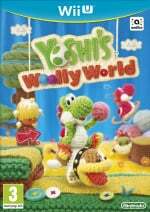 I’m a big fan of his last escapades in Woolly World and an even bigger fan of Kirby’s Epic Yarn, so I have high hopes for his latest adventure. Going by previous games in the series, I doubt it’ll be the most taxing game, so I might try upping the adrenaline levels with a little Rocket League. I fired it up for the first time in ages last weekend and it looks an awful lot sharper than it did when the game launched. God bless patches, eh? So, when I’m not waddling around a cardboard diorama as T. Yoshisaur Muchakoopas, you’ll likely find me chasing a big ball in my DeLorean. Magic. 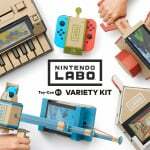 To be quite honest, after seeing the trailers for the new Labo VR kits, I think I’m going to go try to finish up the rest of the Nintendo Labo Toy-Cons that have just been sitting in the box collecting dust. I never actually finished building all of the kits I bought the first time around, and now the completionist in me is feeling compelled to do so. Also, I’ve been on a bit of a building kick lately with LEGO and whatnot, so although the Toy-Con software isn’t entertaining beyond a couple of minutes’ worth of gameplay, I do get a kick out of the construction process. This weekend is going to be a busy one for the ol' Nintendo Switch. I'll be taking Unravel Two for a co-operative spin to see if this charming platformer can really work on handheld hardware. I'll also be shouting "I object!" 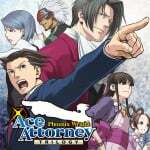 and pointing my finger with riotous indignation while playing Phoenix Wright: Ace Attorney Trilogy. I'll also be getting my freeform adventure on in the intriguing first-person promise of Windscape. Look out for reviews of all three next week on Nintendo Life. 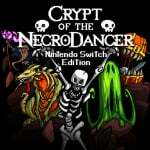 After the Nindie Direct earlier this week, this weekend I’ve decided to spend my time playing Crypt of the NecroDancer (for obvious reasons). 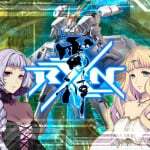 Admittedly it’s a game I’ve purchased on multiple platforms, but somehow never got around to playing. So for the next few days, that’s my main goal. I’m also eager to try out Blaster Master Zero 2. 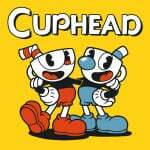 It was probably my third favourite announcement of the recent presentation, right behind Cadence of Hyrule and Cuphead. 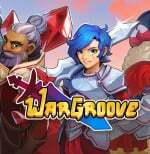 Last of all, I intend to return to Wargroove. As much as I adore this game, I always feel I need more time to play it and this weekend will probably be no different even after I’ve spent multiple hours on it. WARNING: A huge import package is approaching fast! 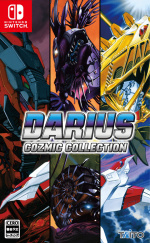 This weekend will be spent revising RXN -Raijin-, World of Final Fantasy Maxima plus premiering Zoids Wild: King of Blast, Girls und Panzer: Dream Tank Match DX and, last but not least, Darius Cozmic Collection. All games in their physical plastic glory. Whenever Zuntata is blasting from my sound system you know that always equals a good time. Still no excuse to skip some Super Smash Bros. Ultimate action of course. 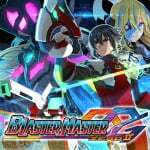 My game of the week is Blaster Master Zero 2. Inti Creates has this neo-retro formula down to a tee so having this out-of-nowhere halfway into a Nindies Direct was the Switch high point for me this past week. I’m still chipping away at Disgaea 5, but I’m also cheating on my Switch by dipping my toe into the Persona series. I’m playing through Persona 3 Portable, while I await Persona 5 to arrive in the post. Hopefully my impatience will mean Persona 5S for Switch will be announced as actually existing this weekend, or very soon. Got unstuck in Wargroove so I'll continue with that and I also picked up Baba is You which is very fun. Finally, more XB1 as MCC and Halo 5 will play a large role in the big wait for Mario Maker 2. Mainly playing Chocobo's Mystery Dungeon but also some Baba Is You, Thimbleweed Park, Pokémon Shuffle and (Famicom) Fire Emblem. 1. Continuing Castlevania Curse of Darkness on the PS3. 2. Assassin's Creed Origins on Xbox One. 3. Diablo 3 on Nintendo Switch. I am on leave without much time to play games but I am still going through my third play of xenoblade chronicles 2 (6 rare blades missing) and will play the hell of FF VII on my way back on Tuesday! I'm playing Ys Seven on PC. I enjoyed Ys VIII on the Switch, so I bought the the titles available on Steam. It's a good thing I first played VIII on Switch, too, because its PC port seems to be unplayable (crashes and other issues). Also Smash. I usually can't go a day without squeezing at least one game in. 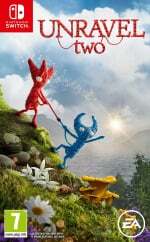 Unravel 2. Where's the review? I am disappointed by the performance and graphics of this game. Seems like EA doesn't care, so manny jaggies, please polished them away with some anti-aliasing. Not even 60 fps, barely 30fps with lacklustre graphic. If you have a PS4, play it there, it's not worth playing it handheld. I can't see anything properly on a small screen with so many jaggies. Aragami, really enjoying it so far. I’m playing Metroid: Samus Returns... having a ton of fun with it. I restarted The Messenger a couple of days ago and this time I intend to finish it. I think I got stuck at the Demon King last time. I'm now up to the smaller devil looking boss, I forget it's name,and having a great time. I finally completed Hollow Knight the other day and I was fair chuffed with myself. Who'd have thought working my way through my backlog and actually finishing games I paid cash for would be so much fun. Hey Nintendolife, how come you guys haven't reported on Remothered: Tormented Fathers being announced for the Switch? 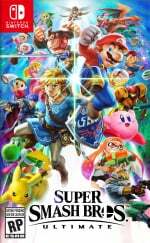 I'm on Yoshi's Woolly World, Lego Marvel Super Heroes 2, and Splatoon 2 this weekend. I picked up Iconoclasts on sale and so far I’m having a blast with it. Charming storytelling, visuals, music and sound design, with an interesting new platforming mechanic (couldn’t resist). I also grabbed Blaster Master Zero 2, which I can’t wait to start. I can’t get enough of these new 2D games. I’m so glad Nintendo has welcomed the Indie scene with open arms and that Indie developers have embraced the Switch. Happy gaming and happy weekend to all! Looks like Yooka Laylee, Unravel 2, and Fate/Extella Link will be my main focus with a few Nuclear Throne runs thrown in for good measure. Maybe a Greater Rift or two on D3. Top notch gaming for this guy, Yooka Laylee is WAY better than I thought it would be and VASTLY better than everyone has painted it to be too. I also have no nostalgia for games like that cause back in the 90’s I didn’t really play a lot of them, so my frame of reference isn’t skewed in any way. Just having fun. Undertale, Splatoon 2, Fitness Boxing and maybe some Disgaea 5. Will be playing some board games with friends tomorrow! Desperately trying to get Gold Dural on Shenmue 1. Hours and hours later. No luck. I’ve logged 40+ into Crypt of the Necrodancer, but never quite beat it. I need to rectify that. Totally agree on Yooka Laylee. It’s clearly made with a lot of love, humor, and know-how. What else would you expect from that team? And I’m one of the many Banjo Kazooie fans hoping we see a new entry in that wonderful, long-dormant franchise. Just picked up Minit and Wizard of Legend this week since they were on sale, and just beat Minit about 15 mins ago, lol. Fun, easy game! Totally worth the $5 I paid for it. WoL will be getting some work in while I adjust to it, harder than Gungeon so far, but fun. I doubt it’ll be as good as Isaac or Gungeon, but still worth the $11. Will also probably be doin a campaign or two on Civ 6, as well as working on Steam World Dig 2. Maybe even dip back into Monster Hunter for a few hunts. Dropping by CotN again (especially after the recent announcement) and resuming WoFF are sweet spots on my backlog, but not this time. I just reached Arson deck in L.A. Noire with Napoleonic plans to wrap the story up over the next few days after all. 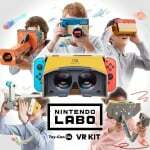 The rest will probably rest and wait for a later time (especially if by then the Switch updates fully eliminate the risk of whimsically restarting a chunk-per-day download) - with the sheer detail and scale of this LA, rushing the exploration and using guides kinda feels like a waste (that, and a collectible guide can honestly be a nightmare to use halfway through rather than from the start ). Discovering the other day that the game also has some collectible "shields" to boot only fuels the feeling further. Nonetheless, this game will have been over 40 hours of impressive content by the time I put it away (and yes, the repetitiveness of the cases is exaggerated - almost every one I've played so far has mixed in something new). The story, too - At this point in the overall plot, wanting those 27 Gb for other purposes is definitely not the only reason I can't wait to get to the end of this. Even my phone is getting a workout besides casual daily logins in the freemiums. I've finally restarted Dragon Quest (the previous save didn't survive the phone transfer and frankly never suggested it even could 🙄) and have been going through my first Atelier Marie playthrough (with most of the starting money spent on equipment, so I don't even have much left for the mercenary fees proper - but at least, when I do venture out, the party doesn't get their posteriors handed to them by mere slimes). The game has several endings anyway, might as well just learn the ropes for now. I'm planning on playing Bloodborne, Wargroove and Ape Out this weekend. Board games! I finally found a copy of One Deck Dungeon, a board game that's been on my radar for a long time, so I'm going to be playing that for a while. And I feel like it's been way too long since I played Elder Sign, so that will probably get played this weekend too. My Switch needs a little rest every once in a while. Guacamalee 2, Overcooked, and NES Spelunker, but for the most part I’ll be watching March Madness. Chocobo Dungeon, Fate Extella Link and Night of Azure 2. Mostly Chocobo Dungeon since it released. And probly some RDR 2, FM2019 Touch, Civ VI ( I like to mix and match ). Hope everyone have a fun weekend! Really want to star FE Link but cant stop playing Caligula Effect. I’m hoping to finish a couple games this weekend before I start FFVII and Yoshi next week. Here’s hoping I can wrap up Sushi Striker and Katamari Damacy this weekend. Stardew and Downwell. The latter has been on my backlog since launch, excited to jump in. 10hours into Hollow Knight and it is really living up to expectations. I can see how it might not be for everyone but to me it seems pretty much perfect. Just downloaded Castlevania Requiem for my Ps4 and started Rondo of Blood (which by the way has one of the best video game scores of all time imo). I forgot how tough this game is. I hear people talking about the difficulty of the Soulborne games but they are a doddle compared to this! So far this weekend I’ve played Smash Bros and Mario Kart with friends. Also picked Pokémon Y back up to get me ready for the aesthetically similar Galar region later this year. Also picked up Yoku’s Island Express on sale and been having a really good time with it so far. There was the Pokemon Go community day event today, which I did. And still playing Tetris 99, Final Fantasy 9 and NSMBUDX. Hearthstone too, currently up to Rank 8 in wild. I might be playing some Don't Starve Together on PC with my friend tomorrow - which is like "oh yeah, I have bunch of games on Steam, I forgot" lol I have almost never touched Steam since the Switch came out. About the only non-Switch games I play anymore are Hearthstone and PoGo. The Nindies Direct sale put Donut Country at a lower price, so I'll be rappin that up over the weekend. Be warned if you buy it, because it's SUPER addicting. For Chocobo's Mystery Dungeon Every Buddy! Harvest Moon Light of Hope. 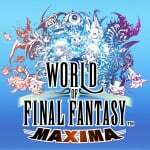 Final Fantasy World Maxima. I even may try to find the Shrines in Final Fantasy 9. Maybe even a little RBI 19. Secret of Mana at the moment, and on the off-chance I actually clear it before the weekend is out, I'll start Seiken Densetsu 3. Emulated with a translation patch, yes, but I also have an original cartridge, so it's all good. I haven't been playing my wii u as much lately. But when i do, it'll be very little amounts of Mario golf, super mario 3d world, and castlevania aria of sorrow. On my 3ds ( mostly during the week on my lunchbreak), a link between worlds for like the 5th or 6th time. I recently beat ALTTP so i wanted to play this again right afterwards as I consider both my favorite zelda game of all time. Once i beat ALBW again ill have my final decision made up! Lastly on switch, smash online of course. Been playing splatoon 2 as of late too. But my big one was the shadow drop of BMZ2! I've been completely hooked since Wednesday. Such a cool game and the farther along I get the more i say it's that much better than zero. Skyrim and trying a new difficulty of civ vi, previously I got beaten heavily by Rome. @ItalianBaptist Yesss Pokemon XY is my fave! I’ll be doing a little breeding/trading this weekend, as well as starting the SNES Classic version of FF3. World of Final Fantasy MAXIMA, it is really good!! Playing through Puyo Puyo eSports and Blaster Master Zero 2. Playing the very awesome 2008 Wii game Star Wars: The Force Unleashed. Got Timbleweed Park discounted a while ago, so just started that. Love it so far. Great atmosphere and lovely humor! Finished Yoku's Island Express yesterday so decided to do some of the botw dlc before i start a new game. Nice visiting hyrule after a few months away. Also played a bit of mario 3d world on wii u with the kids this morning, and may well sneak a bit of tetris99 or enter the gungeon if i get chance. This weekend I'll be sailing the seven seas in Neo Atlas 1469. I'll also be working on my wife's farm in Stardew Valley. Still enjoying the heck out of DMCV on PC. On my second playthrough and its better then the first. As for Switch, probably some Rico, and Tangledeep. Might preorder Power Rangers too, as I have 3000+ gold coins. Yeah. That game is awesome. WiiU had some really good first party games. I've been wanting to go back to 3D world. I've been playing Crypt of the Necrodancer since that Zelda crossover announcement... on Vita/PS4, since the Nintendo sale just features a bunch of random indies, and Sony is almost giving it away for free right now. West of Loathing, Steamworld Dig, Grim Fandango, Golf Peaks, LA Noir, plus leveling up some spirits in Smash. Maybe some original Metroid. 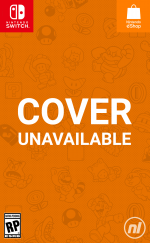 SteamWorld Heist, Kid Icarus, and Smash. Final Fantasy IX, and fortnite for me. Need to finish FF 9 so I can start 7 next week. I'll keep it short today. I recently beat Mega Man Battle Network 2 and it certainly continued the franchise's trend of having the sequel to the first title in a new sub-series being all-around better than its predecessor in just about every way. Splatoon 2 free week, Paladins (seems to be my go to game right now), and XC2: Torna needs to be finished. Been trying to go back and play some classic Sega Games too, but that is a slow go. Dying and restarting in sekiro. I just started playing Pokémon Let’s Go Pikachu. So I’ll be playing that. I bought Blaster Master Zero 2. And getting in on Smash. I'm going for the time trials in Captain Toad Treasure Tracker. I'm going to play some Motorsport manager today, I might download James Pond. Why wasn't that an option guys? I'm back into Hyrule warriors after buying the Switch version having also finished portal 1 & 2 and battle chef brigade this week. I’m surprised no NL staffers are playing Nuclear Throne this weekend, but I certainly am. Lots and lots of glorious Nuclear Throne! I picked up Minit in the latest Nindie sale, and I'll probably get Blossom Tales, Bloodstained Curse of the Moon, and a few others during the sale as well. Going to be a busy gaming weekend, that's for sure! Sonic mood this morning, so played some Sonic Battle again, and I played some Sonic Rush for the first time in a good while. May play another game this weekend, but I don't know which one yet. 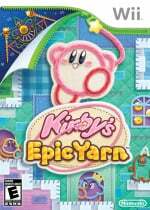 Kirby's Extra Epic Yarn for me, and I need to get back to Ape Out. The kiddo is out of school for the next two weeks, so we'll be playing something together too. Maybe a Skylanders re-play or Lego Movie 2. Hopefully not just more Minecraft! @617Sqn every week you say the same thing and people tell you to zip it, or hit the ignore button. The latter being much easier for you. It begs the question..."Why do you feel the need to post ABOUT his box art for every game he plays? Every week, it's getting a bit boring now." Besides, it's become tradition every week seeing what @Anti-Matter is going to post. So hit the ignore button and move on.. I'm off work for a week.So a week abroad?naaa I'll just stick to catching up on my missed gaming time. God of war still on PS4 and trying to hold off buying sekiro seeing as I have so many other games. Yonder! Just purchased it. Loving it so far. Grabbed Snake Pass for 7 bucks last night. Very chill game, cute visuals, unique spin on platforming that's actually pretty fun. I think I got my money's worth. Today I have been playing Garage cleaner simulator. It's a game where your wife nags you to sort the garage out as it's a bloody mess and you attempt to calm her down by doing it! Rico! I wish they'd update the UI on mission options, but otherwise a fun game. Smash Ultimate and Wolfenstein II for me. Need to finish Wolfenstein so I can start FFVII this week! @nintendobynature Hey, man! I just finished Anodyne a couple of hours ago. I really liked the overall gameplay. There's a huge influence of 2D Zeldas in terms of overworld and dungeons, but with its own elements. The game has a personality, but the story is really vague and things are not explained, even after you beat the final boss. It leaves you wondering. I don't see it as a bad thing, but be aware that you'll not get any answers. Personally I liked the gameplay hours. It's a simple system but I like exploring dungeons, finding keys, this kind of thing. It took me around 10 hours to go through it. I think it's worth the 9.99 full price. I don't know if it's on sale now. @Circasurviver I love this game. I beat it last year and I'll probably do it again next month. A great game, lots of fun! @John_Deacon very good thank you my man. Yea I liked the sound of it (zelda like from what I heard). Sounds like it was accurate. I'm never too engulfed in stories honestly. Id much rather have a great game with great gameplay and less story. But, I do however like knowing where to go next or what to do. But once I'm in dungeons i love the exploration/puzzle part of the game. Thanks for the feedback. Once i hit a lull in games with not much to play I'll check it out. I was also eyeing reverie which is alot like anodyne. But more toonish. I like how Yoshi is even an option seeing as how the majority of us have to wait until next weekend.. 😅 That said I’ve still got work to do in HK- I’ve gotten to the Hive Knight now! Commence dying... When I’m not playing HK I may work on some Fortnite challenges. I finished Turok and now I'm working on Splatoon 2, Steamworld Dig, Sonic Mania. @rdm22 I had so much fun with Weat of Loathing. I played as the snake charmer the first time around and fully intend to revisit and try a different class/ friend combo. @MushHill_Act1-1 I saw that game on the sale tab and almost bought Donut Country but was unsure what it would really be like. The video looked cool though so I may just take a chance. I play 'Bastion' on PS4 and/or 'Dust: An Elysian Tail' on Switch. @Mamabear It's really fun! It's kinda short, tho. I started yesterday and I was near the end after just a few hours. @Mamabear yeah, this game is incredible. Every aspect of it is so well done—art, story, music, etc. Wonderful balance of humor and pathos. I’m the cow puncher for my first go through, but this game has so much replay value, I will definitely come back. Almost picked snake charmer. Started Valkyria Chronicles 4 and remembered everything’s i loved about the original. Also still forcing myself to play Ace Combat 7 multiplayer to unlock those last 2 skins held hostage behind it. @617Sqn seriously, do you have so little in your life going on that you have to lurk here and religiously moan at Anti-Matter each week? It's more than a little ironic that you have become repetitive and tedious. Breath of the Wild on Switch. Kingdom Two Crowns, Penguin Wars, Captain Toad Treasure Tracker, Wandersong, Taiko No Tatsujin, Unruly Heroes, Smash Bros, Towerfall, Donut County, and The Bug Butcher. 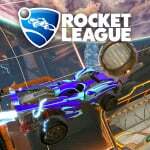 I play lots of games for short sessions! Only thing left to do is beating the real sending. My wife will undoubtedly be tackling all Pokemon in a bid to make them hers. @OorWullie we are on the same page. Think I’ll revisit blaster master and wargroove. Turok will be my main game this weekend - so fun! I've just figured out what I'm doing in in Octopath Traveler. So I'll be mostly travelling... with my octopus. Ocarina of time still. Just beaten the water temple which was a pain in the arse. It’s such a great game. Also just played a couple of hours of Mario Kart with my wife for the first time in months - another great game! Glad to see a few people mention Turok. Playing Star Fox Zero on Wii U. Really enjoying the game and have played for 18 hours already, the time went by so fast. The controls aren't perfect but not as bad as I thought they would be. Easily one of my favourite Wii U games. I do kind of hope it gets a second chance on Switch. Really want to try Star Fox Assault on the GameCube now but it will probably be expensive. @SterlingEyes I feel your pain with the Water Temple! Def my most hated temple of OoT, and I’ve beaten the game 6 times, still haven’t memorized it. 😆 Good News, all downhill from there dungeon wise. Rest are straight forward and fun! Currently playing Mario + Rabbits Kingdom Battle. Since I'm enjoying it so much, I most probably going to play this 90% to 100% of my gaming time. 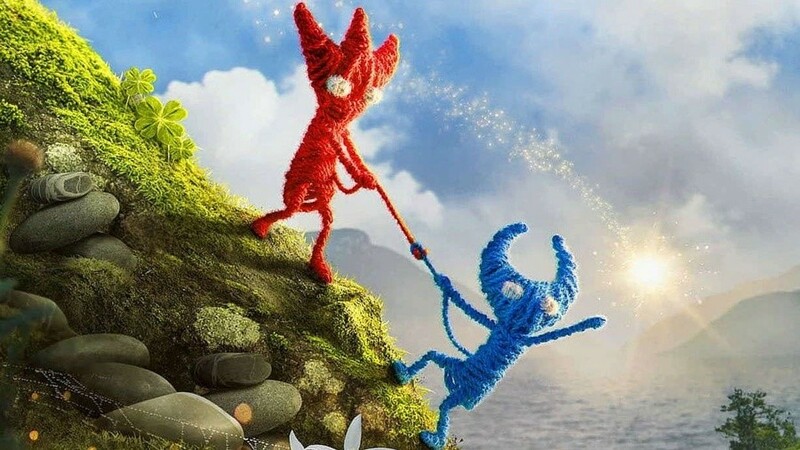 Do physical copies of Unravel Two Switch actually exist? @Jin15 Dust is great! Definitely play to the end. I really enjoyed that game! @Geobros I just finished that last week. Great game! 46 hours and I enjoyed almost all of it. Have fun playing it! South Park: The Fractured But Whole - Working on finishing up the main story then starting on the DLC from the season pass that I picked up. @nintendobynature I've watched some Reverie reviews and the only thing that put me off a little is the constant comment that the game only lasts for 3 or 4 hours. Just by seeing the gameplay and how the action happens on videos I'm pretty sure I'll enjoy it but I'll just wait for a sale. The price is ok (12.99) but if it comes down to less than 10 bucks I think it'll be fairer because it's such a short game. Visuals caught my eye, to be honest! Dork Soles (as always), Yooka-Laylee (with my 3 year old son who is IN LOVE with it), and RiME. 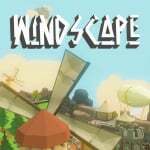 I’ve been playing Windscape for a review next week on my site. It’s fairly decent so far. Just did the true ending of Blaster Master Zero 2. It’s one of the best action platformers/metroidvanias I’ve played in ages, had a blast (no pun intended) for 11 hours and I kinda feel empty now it’s over. @dugan Thanks digan!! I am 30 hours already and I found the mirage system really interesting!! I love that game!! @rushiosan Now you've said that I'm tempted to try Star Fox 64 again and compare controls.